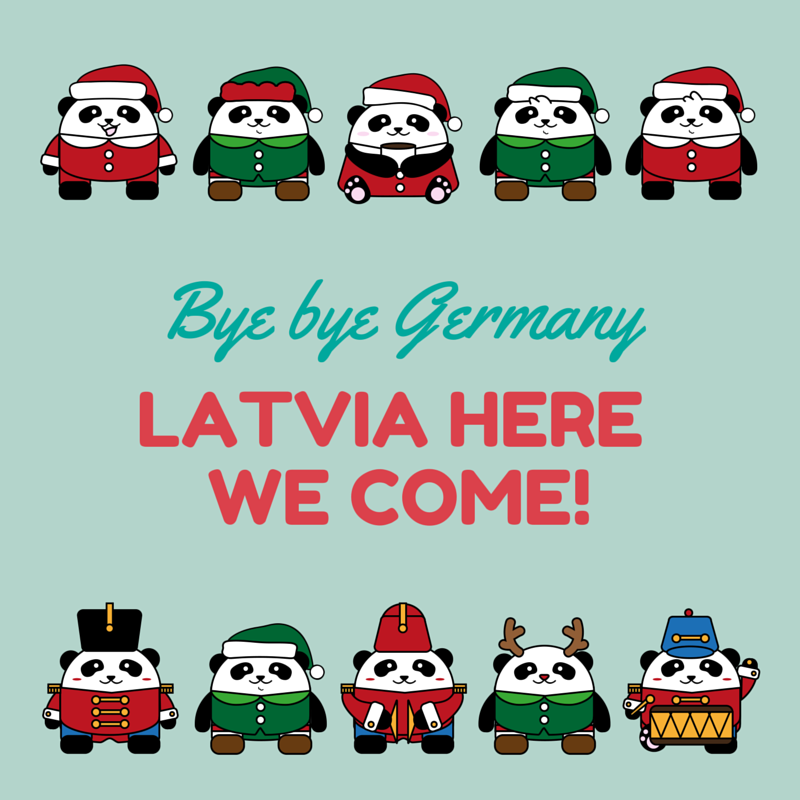 Bye bye Germany, Latvia here we come! While hubby and I were still dating each of us spent the Christmas Eve with our respective families. Once we got married we decided that it is time to end that particular tradition and to establish a new one. Now we have a rotating schedule: one year we travel to Latvia and return to Germany before the New Year’s, the next year we stay in Germany for the Christmas Eve and fly to Latvia around the second day of Christmas. As last year we stayed here and even hosted the Christmas Eve dinner this year we are heading to Latvia, baby in tow. And I really, really cannot wait – last time I was back home was almost a year ago. In the seven years that I have been living abroad my previous personal “record” of not flying back was around six months. In fact, I have also not been outside the country for almost a year. This would sound quite impossible to my younger self who used to get on a plane for a holiday, a meetup with friends, a conference, or a research trip every two to three months and who got a bad case of itchy feet if she did not visit somewhere new every half a year or so. Long story short, we are pretty excited to be travelling to Latvia. It will be our first long holiday in a while, plus it will be Birdy’s first Christmas, and we will get to introduce her to all the family members who have not seen her yet. Oh, and did I mention that I am turning 30 in less than two weeks? So tomorrow morning we will drag our bags down the stairs and head to the train station, take a train to Bremen, followed by a 1,5 hour flight to Latvia. My dad will pick us up at the airport and we will drive to my parents’ place. Wish us safe travels and we will be in touch from Latvia!